This directory includes the current and archived versions of the D99 macaque atlas (Saleem, 2016). macaqueatlas_1.2a.tgz - latest version of atlas - single compressed file <===== Probably want this file! 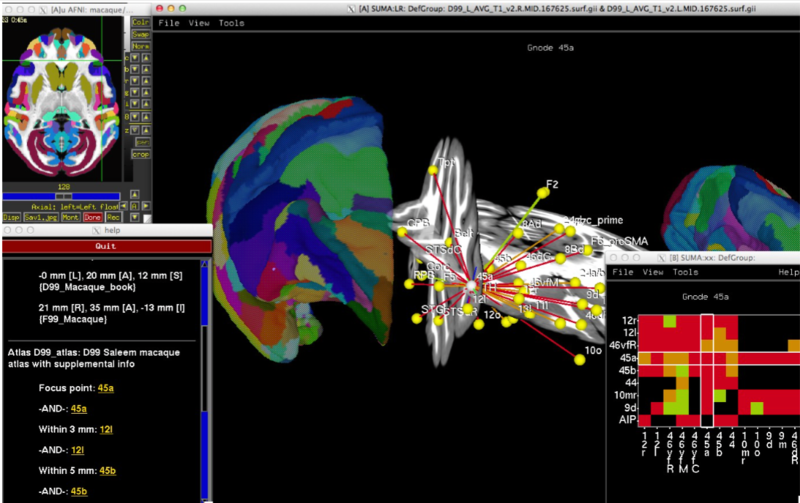 "Three-dimensional digital template atlas of the macaque brain"
consent from the authors. Citation information is included with the atlas.